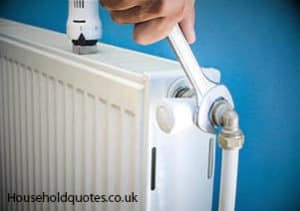 In accordance with the Government’s boiler grant scheme, the UK’s ‘Big Six’ energy companies are giving away free replacement boilers to qualifying homeowners and private tenants. Under the free boiler scheme – ECO (Energy Companies Obligation) – low-income households could be entitled to upgrade to an energy-efficient boiler free of charge, or at the very least, heavily subsidised. Landlords with low income tenants may also be eligible. Given the average cost of replacing an inefficient gas boiler is around £2,300, it is worth your while exploring the possibility of applying for a free boiler grant. Why is it only at the most inconvenient moment that a boiler breaks? Like the coldest week in winter, or just as you’re going away for a few days. Replacing boilers can be extremely expensive, and the average modern boiler costs between £1,500 and £2,500. 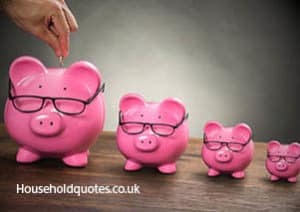 When you’re suddenly faced with finding that amount of cash or trying to cope with no heating and hot water, it can be extremely scary and daunting. Luckily, the government has created a number of schemes over the past decade to keep the most vulnerable people in society warm and cosy. The Winter Fuel Payment was created as a way to help the elderly keep up with ever increasing energy bills. Though you might not think it, having your loft insulated can have a significant effect on your energy bills. The costs of heating a home continue to rise, and they’re not expected to become cheaper any time soon. If you’re in charge of the bills, that means more and more expense every year. However, many homes across the UK qualify for free insulation, so you could start saving money almost immediately. If you’ve ever wanted to keep your house warm and cosy whilst reducing your energy bills, you’ve probably looked into insulation. Across the UK, various energy companies provide insulation for free as part of the government’s Green Scheme. Unfortunately, this is normally only available for loft insulation and cavity walls, leaving those with solid walls out in the cold. Most homes built before 1920 (and some after) have solid walls and they’re notoriously bad at retaining heat; in fact, energy escapes at almost twice the rate of cavity walled homes. However, insulation can be added, and the Energy Saving Trust reports an average of £460 could be saved per year for a detached home.